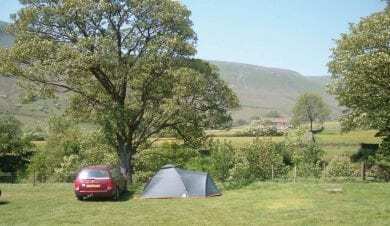 Hostels and bunkhouses provide friendly, flexible accommodation along the Pennine Way. 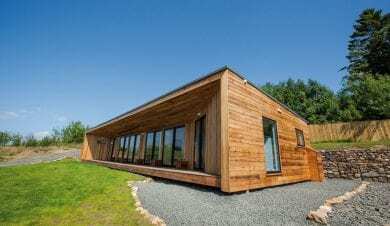 Designed for walkers, they have drying rooms, cosy communal areas and self catering kitchens. Many have private rooms, some en suite. Many hostels can provide breakfast, packed lunches and evening meals on request. Others are close to pubs. Some offer pick up/drop off/luggage transfer. Check with each hostel before you book. The Pennine Way: An interesting and varied route over 268 miles of stunning upland countryside…..just waiting for you to walk it! 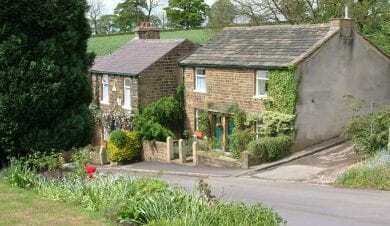 The 21 Independent hostels and bunkhouses listed above provide ideal accommodation along the Pennine Way. 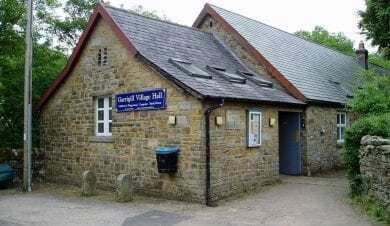 All with self catering facilities, many provide meals and packed lunches on site or in nearby cafes and pubs. No longer the basic accommodation of former times, independent hostels and bunkhouses offer today’s walkers a level of luxury more often associated with quality hotels. 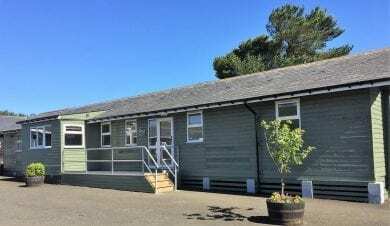 They are warm, cosy, comfortable and well appointed with a choice of private or bunk rooms often with an en suite option. Bed linen and towels are provided. Designed with walkers in mind, you’ll find drying rooms, storage for muddy boots and friendly communal areas where you can relax and share tales of your day’s Pennine Way adventures in front of a roaring fire. Some hostels have their own bar so you can enjoy your favourite tipple as you rest your aching bones! As well as your overnight accommodation, some hostels can provide a pick up or drop off service and a luggage transfer service. Do check with each hostel or bunkhouse as to exactly what they are able to provide before you book. 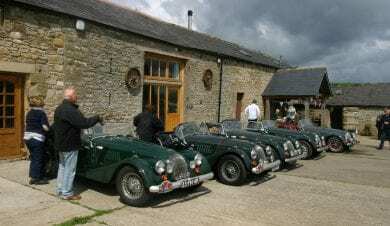 You will find overnight accommodation in independent hostels or bunkhouses all along the Pennine Way. 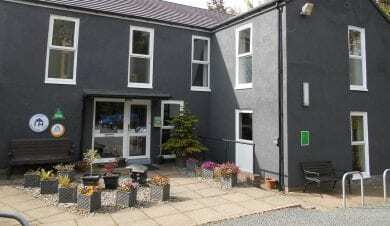 There are some well placed YHA hostels too (see the YHA website for more information). All the independent hostel and bunkhouse accommodation on the Pennine Way is shown on the map at the top of this page. Enlarge it as you wish and click on the red flags for the link to the individual hostel’s details. For full details of the progress of the route and other resources look on the LDWA website. The Pennine Way in the Peak District. Beginning in the quiet village of Edale, the Pennine Way crosses the moorlands of the Kinder Plateau, meanders up into Bronte country and the limestone of the Yorkshire Dales National Park where walkers travel via Malham, Pen-y-ghent, Great Shunner Fell and Keld. 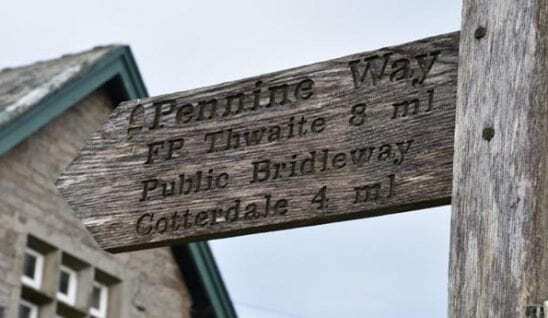 You have a choice of bunkhouse and hostel accommodation in or around Edale at the start of the Pennine Way. 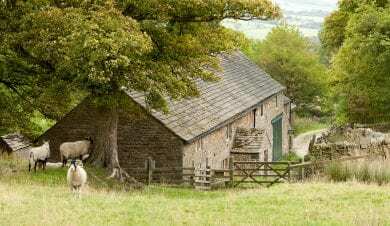 Upper Booth Camping Barn (<1KM from The Pennine Way path). 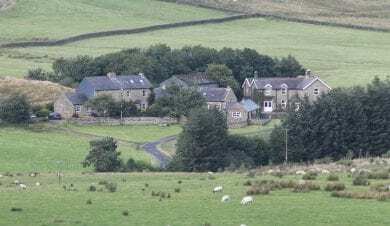 Ollerbrook Farm Bunkhouses (<1KM from The Pennine Way path). Two bunkhouses welcoming groups and individual walkers, a short walk from the start of the path. 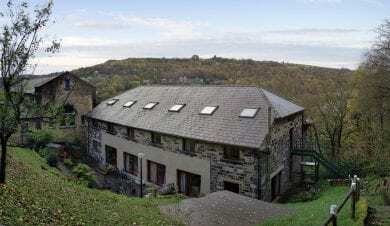 One of our hostels, the Hebden Bridge Hostel has been involved in creating the new and much improved ‘Hebden Bridge Loop on the Pennine Way’. Hebden Bridge Hostel hosts Em and Dave are keen walkers and helped instigate the new path which was launched in 2015 to celebrate the 50th Anniversary of the Pennine Way. The new Loop follows footpaths to the heart of the picturesque market town of Hebden Bridge (instead of the ‘A’ road necessitated by the original route) and also takes in the historical village of Heptonstall en route. 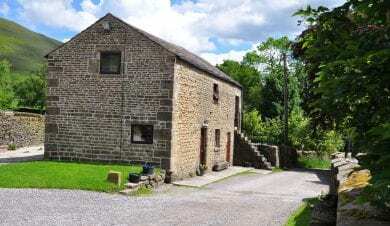 Airton Barn, Friends Meeting House (<1KM from The Pennine Way path). After Airton Barn between Silverdale Road and High Birkwith, the Pennine way climbs Pen-y-ghent. At 2227ft it is the smallest of Yorkshire’s three peaks. Malham Tarn Bothies, two National Trust Camping barns a minutes walk from the Pennine way as it passes though the Malham Tarn National Trust Estate. You need your own sleeping roll and cooking equipment to stay in these stone shelters. 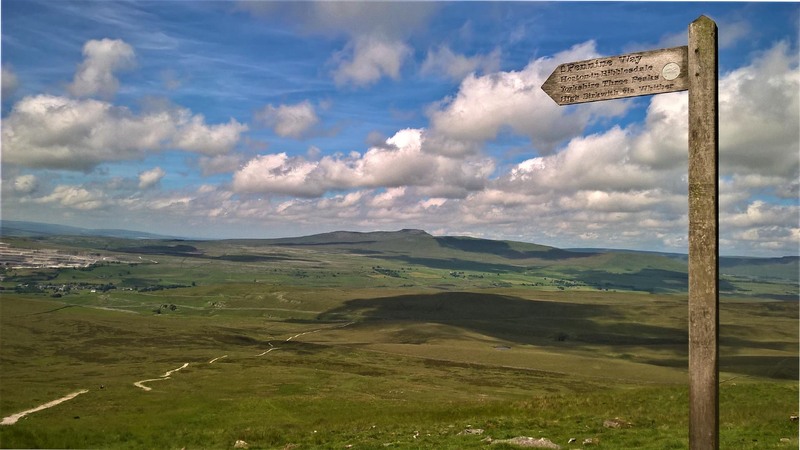 The Pennine Way at Pen-y-ghent. 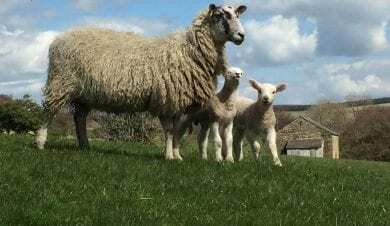 The next independent hostel along the Pennine Way is Gauber Bunk Barn. 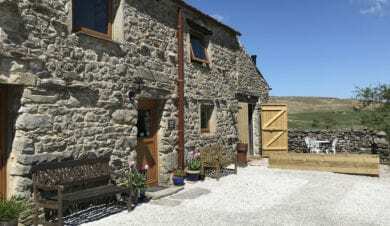 Gauber Bunk Barn offers very comfortable self catering accommodation with a pre-order grocery service, used by many Pennine Way walkers. A diversion from the Pennine Way route of around 1½ to 1¾ miles is required to reach Gauber Bunk Barn. 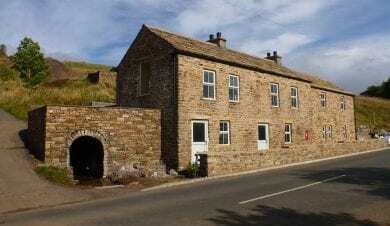 Another perfect stopover for walkers on The Pennine Way is Hardraw Old School Bunkhouse. 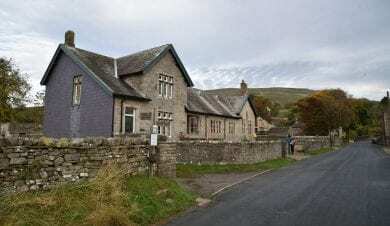 Hardraw Old School Bunkhouse is perfectly positioned on the Pennine Way path. You can see the Pennine Way sign showing the path along the side of the bunkhouse! 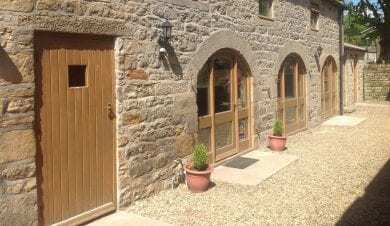 Hardraw Old School Bunkhouse welcomes individuals and groups of walkers. It has a drying room, good self catering facilitates and there is the bonus of a pub 100m up the road. What’s more just by the pub is a stunning waterfall, ideal for a short evening stroll. The path descends to the River Tees and follows the river up past High Force and Cauldron Snout waterfalls before rising up and crossing the fells to High Cup, Great Dunfell and Cross Fell. 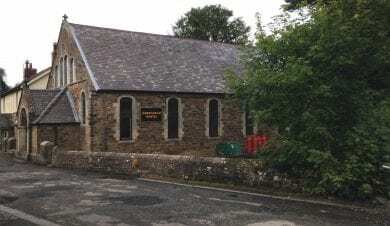 This climb is followed by another descent into Alston, which shares the title of England’s highest market town with Buxton, close to Edale at the southern end of the Way. Alston Youth Hostel (<1KM from path). 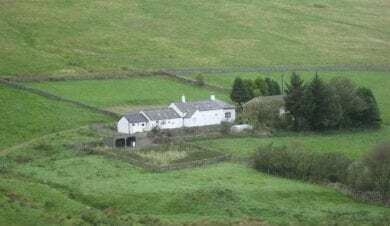 The most directly situated hostel on The Pennine Way in this area. 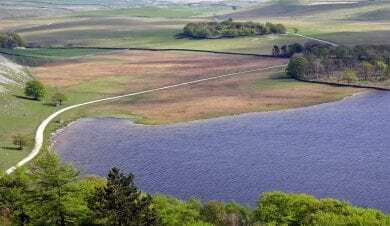 After entering the Northumberland National Park the Pennine Way path follows Hadrian’s Wall to Housesteads Fort before veering north again. The last section takes in the Kielder Forest, Redesdale and the uplands of the stunning and isolated Cheviot Hills. Here the path runs along the border with Scotland before crossing it and gradually heading down to Kirk Yetholm. There are a number of loops can be taken off the main trail and it also links to the Coast to Coast and St Cuthbert’s Way. Spruce Cottage Bunkhouse and Forest View Inn. 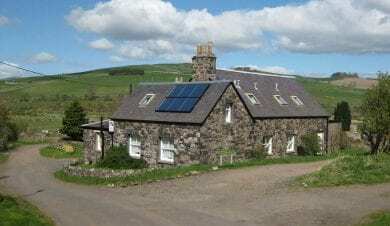 On the path at Byrness, the walkers inn, Forest View Inn and their bunkhouses “Spruce Cottage” specialise in 2 night stays enabling you to split the last 28 miles of the walk to Kirk Yetholm, into two more manageable sections. They have a dedicated mini bus that is able to pick up guests (by arrangement) near the halfway point and bring you back to Byrness for a second night. With a return the next morning to complete your walk. 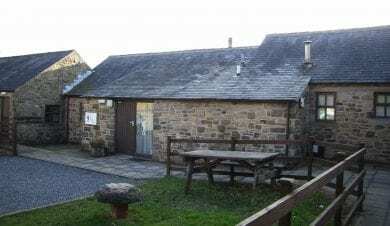 Kirk Yetholm Friends of Nature House is situated directly on path at the end/start of The Pennine Way. The classic stop over! This article shows the location and details of the hostels and bunkhouses along the trail. Full details of the route and other resources can be found on the LDWA website.